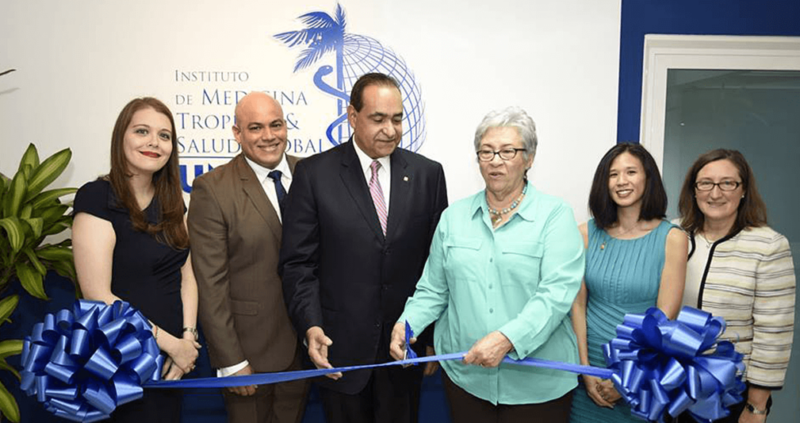 Congratulations to our partners at the Universidad Iberoamericana (UNIBE), who just celebrated the inauguration of their new Institute for Tropical Medicine and Global Health! 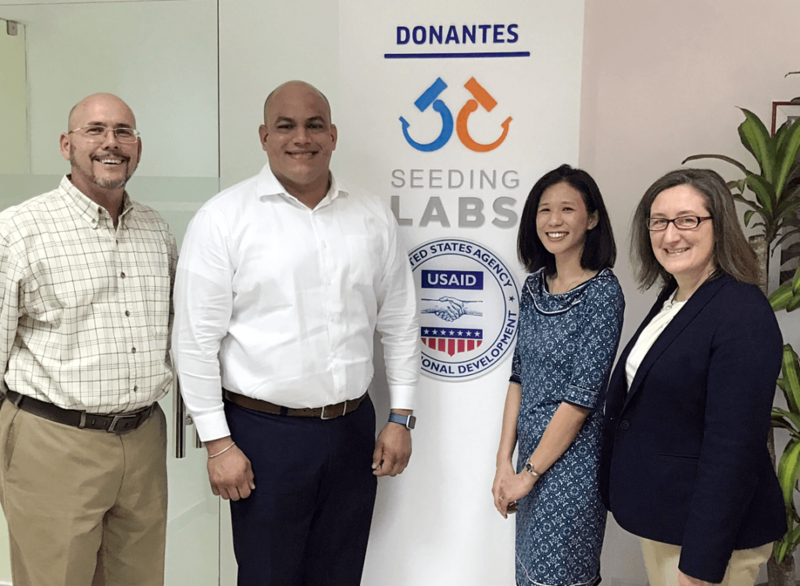 Thanks to your support and a shipment of Instrumental Access equipment, the Dominican Republic now has its first research institute dedicated to emerging, tropical, and infectious diseases. Our Global Partnerships Manager Melissa Wu was a guest at the inauguration on Feb. 1, 2017, and reports that the Institute is the result of years of planning. Its origins can be traced to a decade ago, when UNIBE began integrating research into the fabric of the university. Seeding Labs Global Partnerships Director Melissa Wu delivering remarks at the Institute’s inauguration. 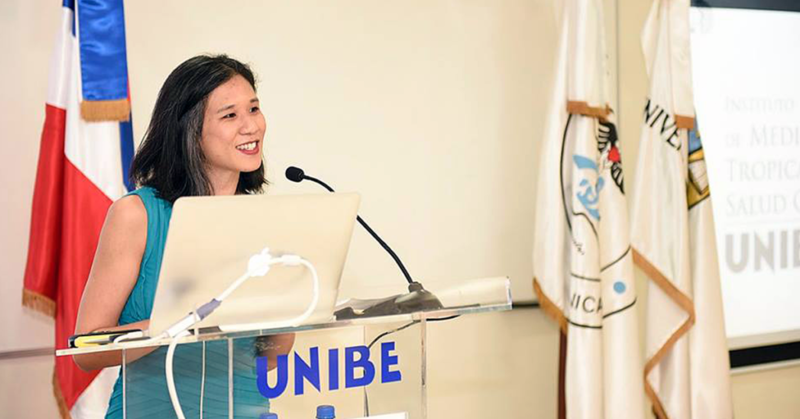 Five years ago, two of the youngest faculty members at UNIBE, Dr. Aída Mencia-Ripley, Dean of Research, and Dr. Robert Paulino, the Director of the new Institute, began to lay the groundwork for the country’s first center dedicated to tropical medicine. Just one year after joining the Instrumental Access program in 2016, the equipment from Seeding Labs helped them achieve their ambitious goal. 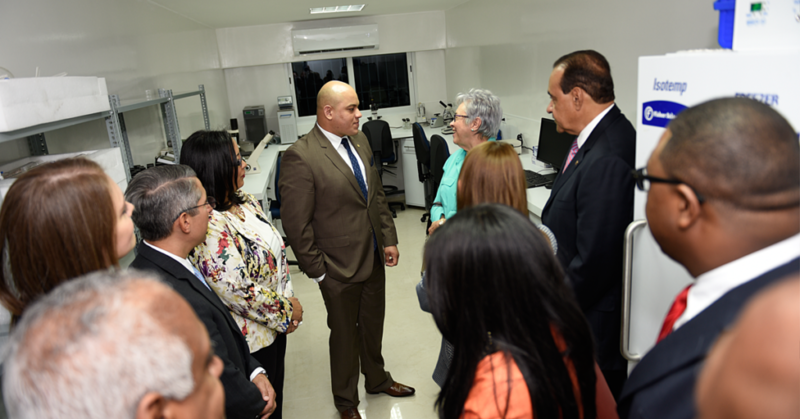 Institute Director Dr. Robert Paulino (center) offers the Minister of Health and others a tour of the new Institute. While the Institute’s major areas of study will be diseases like HIV, Chikungunya, and emerging viruses like Zika that are particularly important in the Dominican Republic, these issues are threats that don’t respect geographic boundaries. By bringing Dominican expertise and research to the global scientific community, Dr. Paulino is bridging an important gap. Support from Seeding Labs and our donor USAID was commemorated at the new Institute. Pictured left to right are Adolis Ledo of Thermo Fisher, Dr. Paulino, Melissa Wu, and Roberta Morris of Thermo Fisher. Thermo Fisher was one of 24 corporate partners who donated equipment to UNIBE’s Instrumental Access shipment. We’re so pleased to be a part of UNIBE’s success and look forward to the discoveries that will come! Pictured at top: Cutting the ribbon at the Institute for Tropical Medicine and Global Health are Dr. Aída Mencía-Ripley, Dean of Research at UNIBE; Dr. Robert Paulino, Director of the Institute for Tropical Medicine and Global Health; Dr. Julio Castaños Guzmán, President of UNIBE; Dr. Altagracia Guzmán, Minister of Health for the Dominican Republic; Dr. Melissa P. Wu, Global Partnerships Manager at Seeding Labs; and Roberta Morris, VP at Thermo Fisher.